I think you are picking the polls that are tied to continue the horse race charade for ratings. 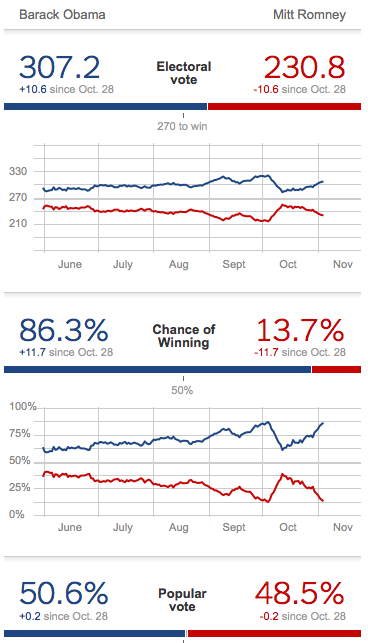 The last three days of polling have brought what is almost certainly Mr. Obama’s strongest run of polling since the first presidential debate in Denver. 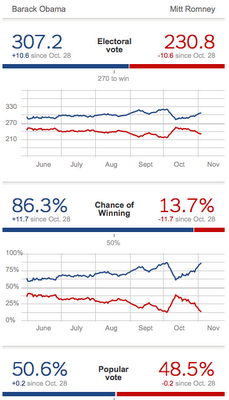 Mr. Obama led in the vast majority of battleground-state polls over the weekend. 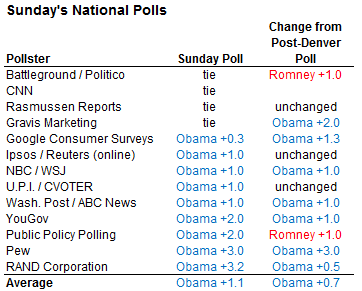 And increasingly, it is hard to find leads for Mr. Romney in national surveys — although several of them show a tie. Then there's the Electoral College, where the election will really be decided.